One of the great pleasures, intellectual and personal, of working in a physical archives, with an archivist, is the serendipitous discovery of material that leads one in new, unanticipated research directions. 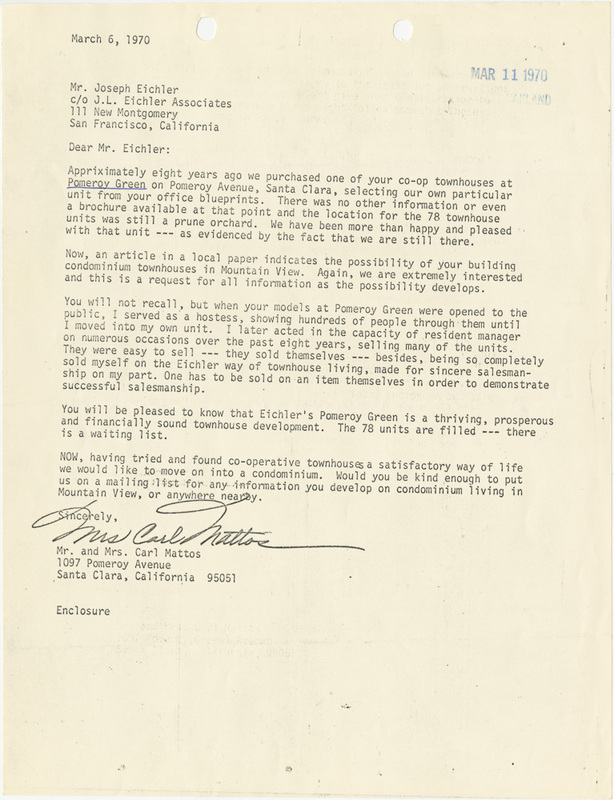 I first came to the Environmental Design Archives in the fall of 2010, when I was completing a book on co-ops, condos, and townhouses, in which I discussed some Bay Area examples developed by Eichler Homes designed by architect Claude Oakland, whose papers are housed there. After telling archivist Waverly Lowell about the project, she pulled out several fascinating, original items that proved extremely helpful, including plans, photos from the planning and sales phases (Fig. 1), and correspondence (Fig. 2). Unfortunately, it was too late to incorporate much of the material into the manuscript. 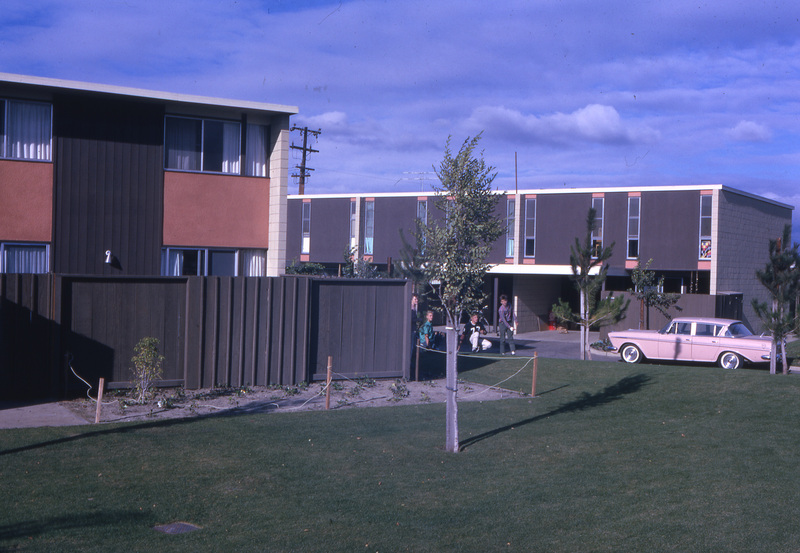 had been at the forefront of efforts to combat urban sprawl in the 1950s and 1960s, with buildings like the Eichler Summit (Fig. 4-6). Here was an idea for a book. 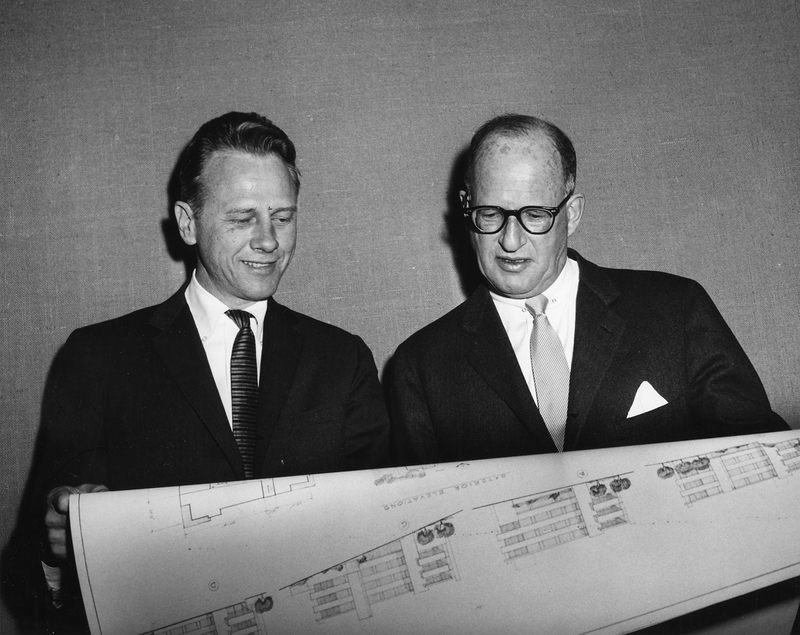 But the book would not just focus on Oakland and Eichler. 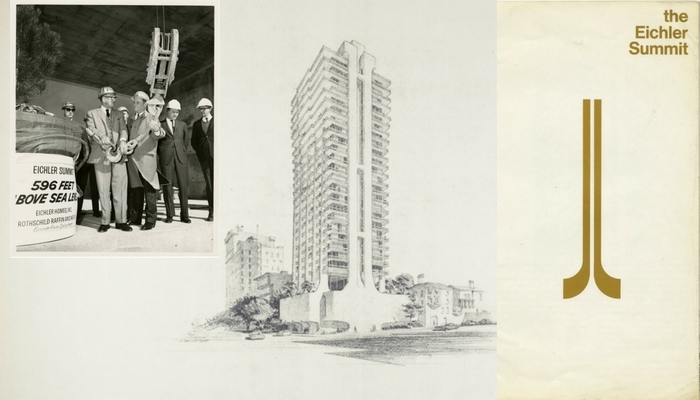 During that summer I also had the chance to explore the collections of several other architects whose work engaged with similar questions as Oakland’s, including Vernon DeMars and his design partner Donald Reay. I returned the following summer, and then again for shorter periods the summers of 2014, 2015, and 2016. 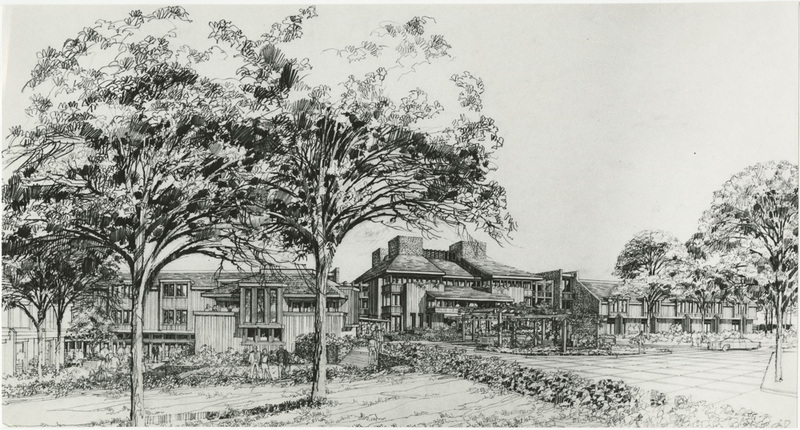 In the meantime, I delivered papers on Eichler and Oakland, and published an article on some of DeMars’s work, including his designs for Bannockburn, outside of Washington, DC (Fig. 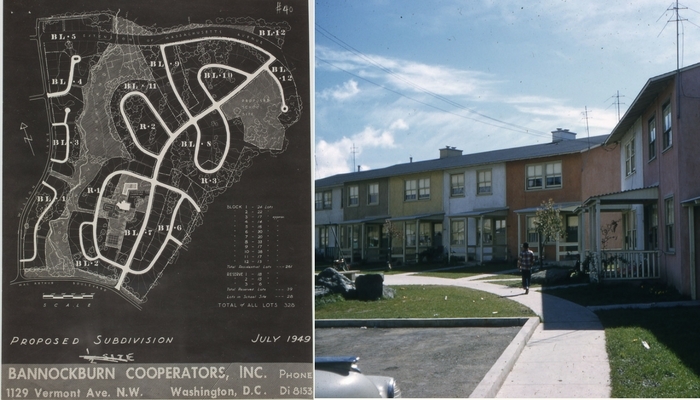 7), and Easter Hill Village, a public housing project (now demolished) in the East Bay’s city of Richmond (Fig. 8). Most recently I explored the work of landscape architect Richard Vignolo in Atlanta, Georgia, in a forthcoming article. Now, after completing several other large projects, I am set to begin writing the book. 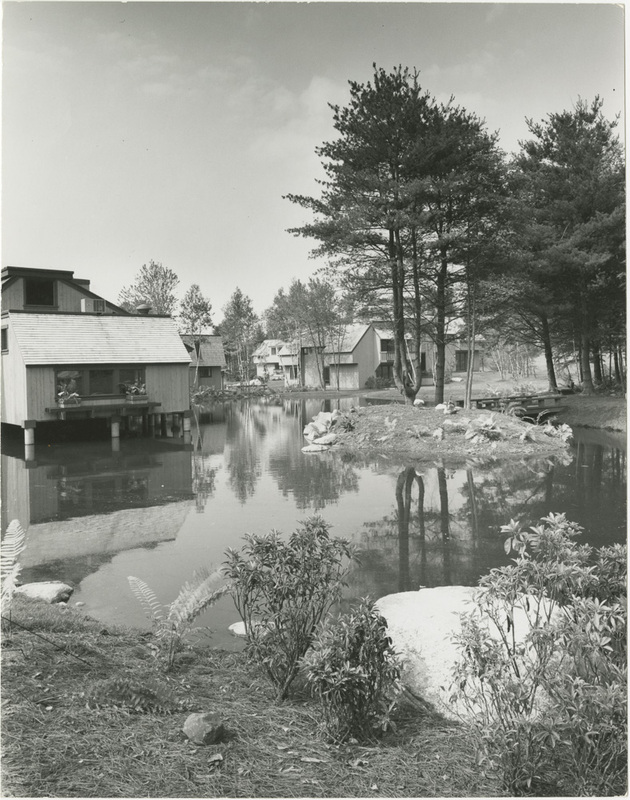 But happily with at least one more summer in the archives, during which I will finish looking through the recently processed collection of Charles Warren Callister, whose projects like Connecticut’s Heritage Village (Fig.9-10) — one of the first, finest, and most emulated cluster-housing developments on the East Coast — have made him a primary focus of the project.